In helping my friend’s modern Japanese I Privé raise awareness, we decided to try to pay for marketing on Facebook, Yelp, Yahoo, Google. Here is what I’ve learned about the effectiveness of these companies. Keep in mind that is this my owner personal experience and not based on a large marketing budget and only apply to a small restaurant. When we think about marketing, it’s not just about driving people to visit the restaurant, it’s also about building a relationship over the long term so that we can communicate with current and potential customers. The return on investment focused on long term relationship as well as sustained value. Yelp is the first platform most people think of when they want to find a new restaurant. When we started the restaurant, we agreed that building a good reputation on Yelp is the primary focus. To do that, we have to focus on awesome food and great service and the Yelp ratings should take care of itself. We also agreed that we have to be listening and responding to any negative feedback and act on them. We did pay Yelp for advertising in one of his previous restaurants and noted that the ROI for paying removing competitor ads, hosting a video, pay for view ads for similar restaurants was about $3 / click to our page. We thought that was not worth paying for. The main reason was that for a new restaurant, we wanted to build a good reputation on Yelp rather than just driving traffic. So we decided to pay $0 on Yelp but focused a lot of time responding to customer. We do love Yelp’s transactional business model. The integration with Locu for $20/ month. The integration with online reservation with seatme.com for $99/month. These services are well worth the money. I did an analysis of Opentable, the cost would have been about 8 times the rate of seatme.com. We had the luxury of too many people wanting to get in, so we didn’t need the exposure of Opentable for immediate term traffic. Future: We spend 50% our time focused on paying attention to Yelp and responding to our customers. We would love to integrate with Eat24 as well once the pricing model looks better. When we looked at our referral data for our website http://iprivesake.com/, Yahoo and Bing combined to have < 1% of referral. We decided to first focused on improving our SEO and make sure when users looked for ‘i prive’ they would find us. We worked on this for 3 months, even thought the current search for ‘i prive’ still has a suggestion for ‘in private’, our website appears to be #2 in the search result. I also love the Yelp check in deals, because we get to see how many people checked in for the deal and how many redeemed. Future: We decided to continue to buy ads on Yahoo in order to build brand awareness and expand our reach. There are some drawbacks in the granularity of the demographics and geolocations we can target to. It’s at the DMA level and not on the city level. We bought Google Ad words ads which would show our ads on affiliates and on Google search for certain keywords. Very surprisingly, the Google Ad Words was not very cost effective. We had a CPC of almost $1.11. We were getting 40% of our web traffic from google.com, without paying them anything. They did a great job of refreshing their index and our SEO worked really well. Future: For restaurants, Google Ad Words would drive clicks, but I cannot retain a long term relationship with the customers after that first click. We decided to stop and just pay attention to continue to improve our SEO and also the integration with Google+ into the search results is effective for coupon promotions. I am not a personal user of Facebook, but I was surprised at how well Facebook marketing was. For a CPC of about $0.77, I’m able to get a Facebook like. From that point on, I’m able to market to about 10% of the audience via free news feed. Then I can boost my feed post to about 4,000 people for about $50.00. This is great to keep people engage on a weekly basis as well as do one time promotions of coupons. Future: The bulk of marketing dollars will go into gaining Facebook likes for the next 6 months as well as posting photos to keep users engaged. Also it seems like people don’t really mind when we post about 1 photo a day. It’s not like email spam, because you can ignore the news feed posts. From the beginning, my vision is to build a relationship with customers. Customers who subscribed to our email list will only get 1 email per month, never more than that. We get almost 250% better open rates than the industry norm. It’s a great way to build a long term communication channel with our customers. Email coupon campaigns have proven to be hugely effective. Future: I think we continue to keep up our part of the bargain, never spam our customers and we built the email list. We are growing about 50% a month here, so it’s worth to keep on investing. What surprised me is how ineffective Google campaigns are. Facebook demographic targeting, the real time feedback about how effective each ad is really has pushed Facebook forward and convinced me to open up most of our marketing budget. 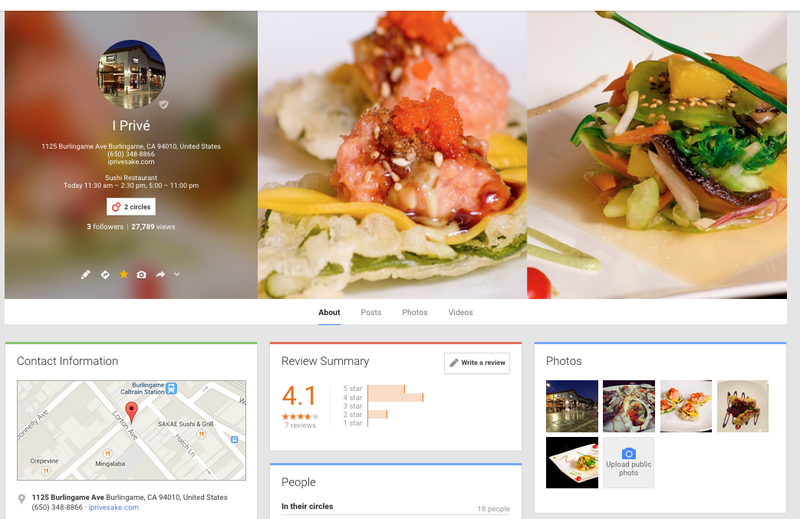 Yelp’s checkin deals are effective as well for restaurants. Ultimately, we want to own the relationship with our customers, so the most valuable marketing is our email database. And the surprising dark horse has been Yahoo Gemini ads.